Fort Fairfield – Alice I. Durost, 89, passed away Sunday evening, February 10, 2019 at a Presque Isle nursing facility, following an extended illness. She was born January 4, 1930 in Fort Fairfield, the daughter of Charles W. and Millie A. (Everett) Durost. She was a graduate of the Fort Fairfield High School and was a member of St. Paul’s Episcopal Church. 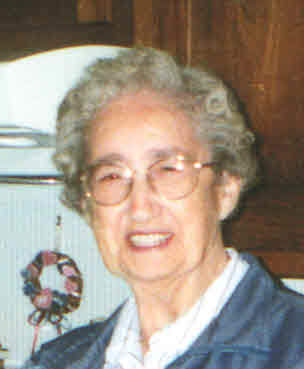 Alice was employed by Tip Top Cleaners, Fort Fairfield for many years and the Red Ball Potato Company, Fort Fairfield for a number of years. She enjoyed gardening, most especially in her flower gardens, spending time with her family and was very active for many years with her church. In addition to her parents, Alice was predeceased by five brothers, John, Walter, Clifford, Robert Sr. and Arnold Durost; two sisters, Lulu Durost and Helen Clark. She is survived by one brother, Orin Durost and his wife Phyllis of Mill Hall, PA; one sister-in-law, Muriel Durost of Presque Isle; several nieces and nephews. Alice also leaves behind special friends, Fred and Donna Everitt of Fort Fairfield, Steve and Gloria Towle of Easton. Friends may call Friday, February 15, 2019 from 11:00 a.m. to 12:45 p.m. at the Giberson-Dorsey Funeral Home, 144 Main Street, Fort Fairfield with the funeral service to follow at 1:00 p.m. at the St. Paul’s Episcopal Church, 170 Main Street, Fort Fairfield with Rev. Kevin Kinsey officiating. A time of continued fellowship with refreshments will be held at St. Paul’s reception area immediately following the service. Spring interment will take place at Riverside Cemetery, Fort Fairfield. Those who wish may contribute in memory of Alice to the St. Paul’s Episcopal Church Memorial Fund, c/o Gloria Towle, 645 Houlton Road, Easton, Maine 04740. Online condolence may be expressed at www.gibersondorseyfuneralhome.com .